The Game Boy Advance launched in 2001 as the next successor in the Game Boy line. It boasted a hardware configuration that surely meant that it had impressive possibilities, and yet looking over the games and series that seemed to make the system so endearing something becomes utterly obvious. The GBA hung around for as long as it did not because it could offer the next big thing in gaming, but rather because it was a sort of living time capsule for many gamers who had grown up with those games of yesteryear. Here was a current handheld system that was seeing new releases that embraced the styles of games gone past. It was a system that saw ports of nearly every major system and franchise that had come before it. 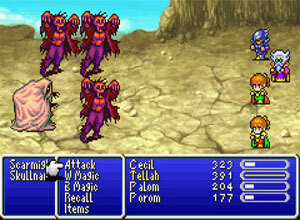 While the consoles were dabbling in 3D and polygons, the GBA embraced 2D and sprites. In many ways the handheld was proof that everything that major gaming mags told us were dead in the industry were actual alive and kicking. They had their place. And they would sooner remind you why you fell in love with gaming in the first place than just fade away. Nintendo is nothing if not smart. The bottom line is that a Mario title is going to sell. 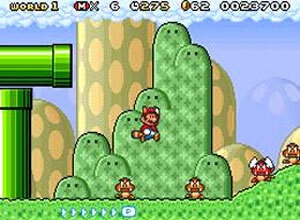 And as such the GBA is home to four classic Super Mario Bros. re-releases. While Super Mario Bros. 2 would find itself a launch-title a handful of tweaks, Super Mario Bros. 3, Super Mario World and Yoshi’s Island would all find slightly more faithful ports within the series. 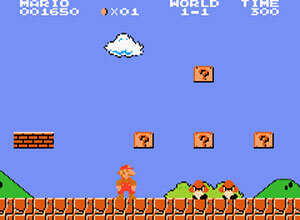 Each had minor additions such as a new save feature where there once was none, or the ability to replay the original Mario Bros., but the main selling point was simple: you could play some Mario Bros. games again. While rehashing old titles seems so trite today, it’s hard to imagine anybody’s GBA collection devoid of Super Mario Advance cartridges. If you want a perfect illustration of just how Nintendo viewed their own systems in 2002 then look no further than Metroid Fusion. Released the same day as Metroid Prime on the GameCube, Fusion felt like a proper sequel to the SNES favorite Super Metroid. The 3D first person shooter direction that the GameCube’s Prime would explore wasn’t even a thought here. Instead many fans got exactly what they had been clamoring for after many years of patience. Fusion was an excellent adventure that stripped Samus of all of her powers and then let her slowly build them up over again as she reached each new sector of the game. Admittedly it’s a far shorter game than Super Metroid, but it was certainly no less fun. 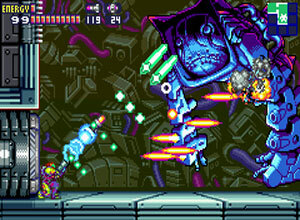 If Fusion left fans wanting even more, they were once again appeased two years later in the shape of Metroid Zero Mission, a re-imagining of the original NES Metroid in the style of Super Metroid. While it’s easy to turn a nose-up at cash-in remakes, Zero Mission was more a love-letter to the series. It took all the best ideas of the 2D iterations and condensed them into something close to a perfect game. The ninth entry in the Nintendo Wars series was also the first to make it to the western part of the globe. 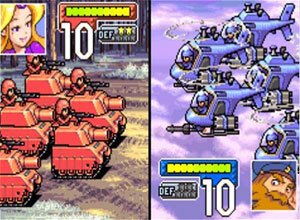 Advance Wars was an early title for the Game Boy Advance in the US and exposed a new audience to its unique blend of Turn Based Strategy, cartoony sprites and rather deep subject matter. As such Advance Wars is easy to learn and get sucked into, but challenging to master. Though it’s certainly possible to have a good time playing it with just a basic understanding of the controls, there’s a far more immense experience to be had if you’re patient enough to learn the full possibilities of the battle system and take the time to think out your strategies. Though many other strategy games would find their way to the GBA (including the sequel to this one), Advance Wars still has an impressive cult following. And for good reason. A 2003 sequel which picks up right where the first‘s storyline leaves off titled Black Hole Rising was also released for the GBA and was just as much of a hit. Though gameplay differences (such as additional weapons and terrain) were kept to a minimum, there was really no reason to fix what wasn’t broke here. No matter what your stance on the series, there is absolutely no denying that every aspect of the game has been a success because it was married so perfectly to the hardware. The portability, the ability for social interaction via battling and trading, the toned down graphics — it’s all a part of the Pokemon experience. There are entire message boards devoted to arguing which generation of Pokemon has been the best, but certainly nobody can claim that the GBA series was the worst. All of the games took the important elements of the Game Boy and Game Boy Color series and combined them with sprites and backgrounds that look straight out of a SNES RPG. Ruby and Sapphire were the original titles released for the GBA — culminating in Emerald, a bit of a combination of the two. 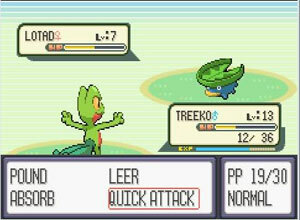 Equally as successful were Fire Red and Leaf Green which were enhanced remakes of the original Game Boy’s Red and Blue. Whether you’re a fan of the Pokemon series or not, taking a look at any one of these five games is a view into GBA gaming at the peak of its popularity. A Link To The Past is arguably the greatest Zelda adventure of all time, so porting it from the SNES to the GBA was pretty much a no-brainer. 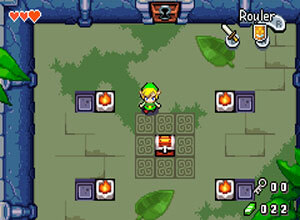 The inclusion of the bonus game Four Swords was both unexpected and brilliant. It was the first multi-player Zelda title released — a gimmick so mind-boggling that it’s hard to estimate just how many GBA systems, link cables and cartridges were sold just to give this game a try. Ultimately Four Swords’ ambition was also its downfall, as those desolate gamers with no local buddies to give the game a go with were left high and dry. 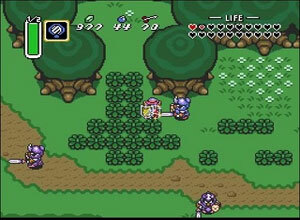 But for those that did get to experience Four Swords in full four-player co-op, this was certainly a killer-app for the GBA’s link cable accessory. The only original Zelda adventure to find itself on the GBA is a bit of a controversial one. Although it’s presented in a very Link To The Past sort of way visually, it tends to fall into that Zelda II or Majora’s Mask black-sheep sort of territory. It’s one of those games that all GBA enthusiasts, especially Zelda fans have played their ways through. Though the experience has tended to be mixed for most. On the one hand it is a staggeringly beautiful game. The graphics and sound are just stunning, and the story is passable with nice animations to keep things lively. On the other hand it’s a terribly short game by Zelda standards with much of the adventure spent solving quite similar puzzles involving shrinking or expanding a la Alice In Wonderland. However no matter where your opinion stands after having played it, it’s a game so impressive in appearance that generally seeing a single screen will send you off to find a copy of the little cartridge to make your collection complete. And whether it frustrates you or you end up adoring it, you simply have to play through it to find out just how you feel. While the Game Boy Advance is beloved by retro enthusiasts due to its immense library of classic ports and remakes, it’s just as important to remember the original titles that it had to offer. 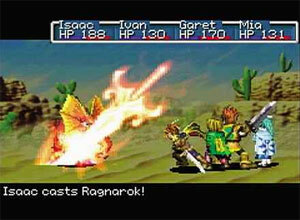 The fantastic RPG series Golden Sun began life on the GBA and for that alone the system should be proud. It also happens to be one of best new franchises for the Advance hardware. After many years of developing the Shining Force series of games for the pre-Dreamcast Sega hardware, Camelot Software Planning (previously known as Sonic! Software Planning) went on to develop some of the Mario Sports games on the N64. They returned to their RPG roots with a vengance in 2001 with Golden Sun and showed RPG fans what was possible on the Gameboy Advance hardware. Golden Sun is a classic 16-bit inspired RPG, but the game’s graphics are so astoundingly good that they’re a perfect reminder that the GBA is technically a 32-bit system. The story is wonderful and the battle system is both familiar and unique with the inclusion of its elemental Djinns. Golden Sun saw a sequel on the GBA two short years later and ultimately another on the DS in 2010. The original Super Mario Kart was an epiphany. It was not only an amazing game, it was a genre-defying one. 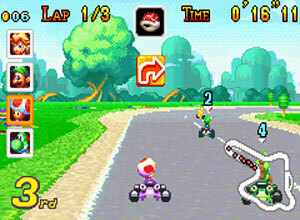 It was so perfectly executed on its first try that soon after many other franchises would mimic it and bring their characters to a similarly styled kart-racer in an attempt to capture the same magic of the SNES title. However it’s hard to say that any copycat was able to get the formula right the same way that Nintendo’s own quasi-remake Super Circuit did on the GBA. Super Circuit featured all of the original tracks from the SNES game, which would have certainly been enough had the game at least controlled well enough. But the fact that a whole new selection of tracks was added on to the game means that Super Circuit did the unthinkable: it managed to eclipse a game that many thought was untouchable. A retro gaming fan that owns a GBA without Mario Kart Super Circuit is surely missing out. Further proof that the GBA was a safe-haven for classic 2D releases for retro-enthusiasts while the consoles were off exploring the next best thing. 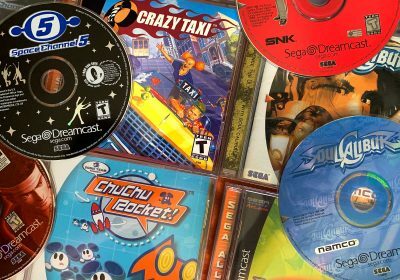 While Sonic was going through a painful series of growing pains in his various console outings, it seemed that the gamers of yesteryear were pining for a simpler time in the Sonic cannon. And the Game Boy Advance delivered with three installments of Sonic Advance, brand new games that were based on Sonic’s 16-bit glory days. 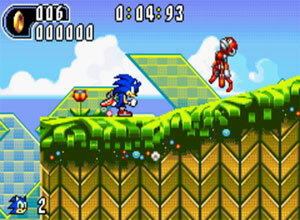 Although THQ would also release a lackluster port of the original Genesis game, it was the three Sonic Advance titles that were able to keep Sonic on life-support from 2001-2004. While Sonic The Hedgehog: Genesis would prove to be a buggy mess of emulation, the Advance series would be built from the ground up with the 32-bit hardware in mind. 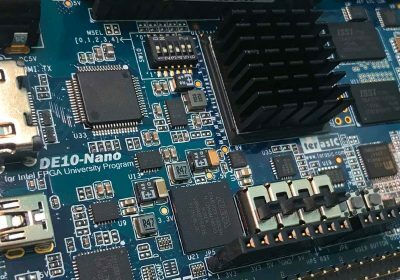 This meant that although it was rooted deeply within the 2D realm of Sonic’s 16-bit glory days, he would now benefit from better, faster hardware capable of handling his speed no matter how dazzling the level creation. It also set a fine example of how to make a Sonic game in the new millennium while Sega was concurrently making a mockery of the series on consoles elsewhere. 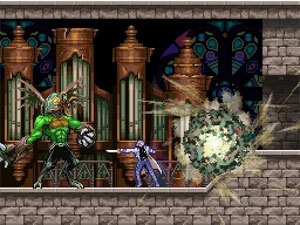 While consoles were busy experimenting with what would happen if the Castlevania franchise were to find itself immersed within a 3D world, the Game Boy Advance stayed closer to the familiar 2D open-ended experience that had been such a hit in the classic Symphony Of The Night on the PlayStation. Circle Of The Moon was released as a launch title on the GBA, and made its debut to much applaud. And certainly it’s understandable why. The visuals were stunning and highlighted what the GBA was capable of projected on its little screen. And much like Symphony Of The Night, the castle was gigantic and offered a multitude of paths to investigate. The series was successful enough to turn itself into a trilogy on the GBA, with each title being a coveted entry in GBA enthusiasts’ collection. The second and third entries — Harmony Of Dissonance and Aria Of Sorrow were equally great additions to the 2D series, and though were somewhat limited in print run were later re-released together by Konami as a special combo package. It seems like such a silly idea: basically a party game created for a platform that’s generally played by one player. But somehow Wario Ware completely works. It’s basically a descendent of the Game & Watch series that Gunpei Yokoi originated before the Game Boy itself. Here we’re bombarded with a series of mini-games. But what makes them so special is their intensity. There is no chance to learn the games, as each one occurs within a matter of a few seconds. Directions are as simple as “Dodge!” or “Jump!” and you have mere moments to make the right move. If this sounds frustrating, it’s strangely not. Instead it’s a completely exhilarating experience — one that would only seem perfectly at home on a small handheld such as the GBA. And perhaps its fitting that such a nonchalant title would build such an empire, the same way that the unassuming gray brick Game Boy started things off in 1989. As such, the Wario Ware line would continue on into further outrageous territory incorporating motion detectors in the next GBA game, requiring heavy use of the stylus in its DS sequel and eventually graduating to full-on party game on the Wii. However perhaps the most fascinating descendent of Mega Microgame$ is Wario Ware DIY on the DS which encourages players to create their own mini-games. 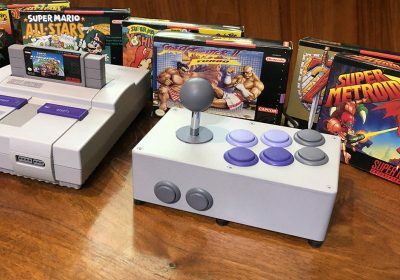 Although the Game Boy Advance was technically more powerful than the SNES, it’s best remembered as a sort of portable SNES — a continuation of the retro-aesthetic that many of us grew up on. So it’s only natural that many games and even graphical styles from that era would be used to full effect on Nintendo’s handheld system. 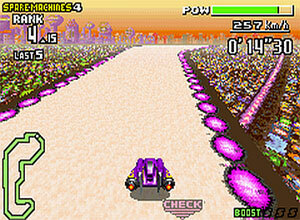 Enter F-Zero, a futuristic racing game that was hyped on the SNES as an example of what the Mode 7 processor was capable of. The three F-Zero games on the GBA (one of which was released only in Japan) were not only as good as the SNES original — they were better! The scrolling effects were not just believable here, they were impressive. There was no sign of slowdown and all of the backgrounds were highly detailed no matter how fast you were moving. It’s hard to imagine portable sequels eclipsing a console cult classic, but F-Zero Maximum Velocity, GP Legend and Climax do just that. They somehow manage to remind you what was so great about the original while somehow deeming it unnecessary at the same time. 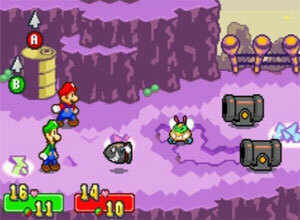 A quasi-sequel to the overlooked Super Mario RPG on the SNES, Mario & Luigi Superstar Saga is an RPG title so steeped in personality and charm that it’s near impossible to not fall for this one even if you’re not a huge fan of role playing games. In that regard it’s actually quite similar to the Paper Mario series of console games as well, which take the oft-niche RPG genre and somehow simplifies it just enough to make a game accessible to all gamers while still retaining a thrilling blend of storyline, battling and puzzle solving. This classic 2D RPG series has continued on to the DS since Superstar Saga, but the original is definitely worth revisiting whether you’ve played it before or not. Considering the incredible success that the Pokemon series had on the Game Boy and its successor systems, it’s not surprising that there were many clone games to follow. What is sort of surprising is that one of the more popular clones was actually published by Capcom as a spin-off to the Mega Man franchise. The Battle Network games are a series of RPG’s with many installments about a school-aged boy named Lan and the Blue Bomber-like robot he controlled called .Exe. As silly as it all sounds, it actually started out with rather good intentions. The games are decent enough romps on admittedly well-worn territory. Regardless a rather strong cult-following popped up and snatched up a long string of sequels and spin-offs from the series. Those fans of Mega Man’s original side scrolling romps that found the Battle Network games too alien to get comfortable with luckily had a stream of wonderful games as part of the Zero series. 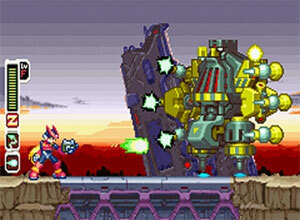 What began as a spin-off to the Mega Man X series displayed incredible graphics, beautiful music and a developed storyline in Mega Man Zero. And although our hero was Zero rather than the Blue Bomber himself, it’s hard to ignore the four mini-masterpieces of run-n-gun bliss that these games really are. All four would later be compiled into a collection on the NDS as well for those who may have missed them the first time. The break-up between Nintendo and Square was well publicized. So when they rekindled their relationship and Square started re-releasing Final Fantasy titles on the GBA, it was reason to rejoice. A big part of the importance of these versions was that they were not just emulations of the original games, but rather were remakes built off the skeletons of the WonderSwan color remakes that had been previously released in Japan. These were actually almost identical to the PlayStation remakes that would find their way state-side as well. The ability to now play I, II, IV, V and VI was certainly monumental given the insane reception that Final Fantasy VII has found on the PlayStation. And though these were all late releases in the GBA’s lifespan, they were all highly sought after releases that still command a rather stiff premium in the aftermarket. Also worth noting are a handful of Final Fantasy spin-offs that Square released around the same time — notably sequels to Final Fantasy Tactics and Kingdom Hearts along with a remake of the Game Boy’s Final Fantasy Adventure now known by its original Japanese title, Sword Of Mana. 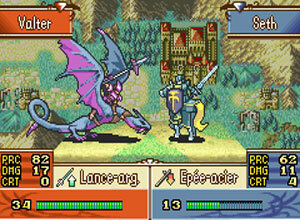 While the Fire Emblem games were popular in Japan on the Famicom and Super Famicom, they were completely unknown in the US until the seventh and eighth installments were released on the GBA. Both titles are wonderful strategy RPG’s that really shine on the GBA’s hardware. As opposed to Advance Wars’ war-time strategy setup, Fire Emblem incorporated RPG elements such as party classes, elemental magic, and a deep system of statistics such as experience points and the like. Although perhaps not quite as deep as niche titles like Tactics Ogre: Knights Of The Lodis or Final Fantasy Tactics, these early releases showed that the GBA was more than capable of a classic strategic RPG style that was offered both a well-balanced battle system and compelling storylines. 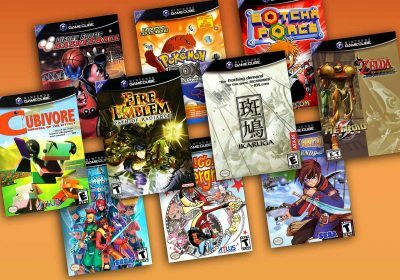 The series would be best remembered for their GBA appearances in the US, though sequels on the GameCube, DS and Wii have all kept it alive. A brilliant campaign by Nintendo to re-release NES ROM’s as brand new cartridges was amazingly not milked for all it could have been. In fact the Japanese equivalent, known as the Famicom Mini Series actually had far more entries released. However there’s no denying just how popular and great these games were. Here you had re-packagings of such necessities as Donkey Kong, Excitebike, Metroid, The Legend Of Zelda, and Super Mario Bros. Each one came in matching boxes that mimicked the look of the original NES releases, and none of them were messed with beyond a little bit of cropping to fit the GBA’s resolution. In fact the strangest thing about the series would be the mass of glaring omissions. Seeing as how this was a perfect opportunity for Nintendo to do little else than wrap a ROM in an emulator and charge $30 for it, there’s an incredible number of legitimate classics missing from this series. While some cult-classics like Kid Icarus and The Lost Levels found GBA releases in Japan, titles such as Punch-Out!! never saw their due praise on the GBA. However many arguments could be made for games that deserved to be part of the series, there’s no denying that the Classic NES Series was a perfect realization of the GBA’s target audience. Indeed it was around this time that the word “retro” seemed to enter gaming’s wider vernacular. And as such the GBA became one of the systems to play to such strengths. On the flipside the non-Mario, non-Zelda titles initially didn’t sell all that well in the US, perhaps due to the somewhat high price-point for a single game an age where emulation on the internet was really breaking into the mainstream. 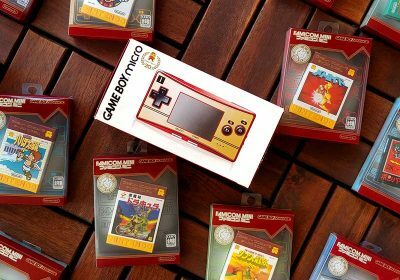 Though Nintendo was certainly nostalgic enough in their campaign to release the beautifully retro Classic NES edition of the Game Boy Advance SP — arguably the most awesomely geeky edition of the GBA’s hardware available. 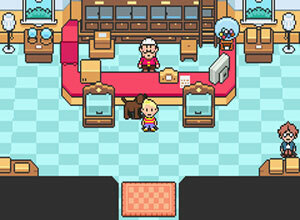 Although Mother 3 was never officially released outside of Japan, in many ways it is almost a synonymous title with the system. Of course the Mother series has had a long history of elusiveness, the release of the third installment in 2006 had American fans holding their breath in anticipation of a stateside release. Of course within a year the GBA would see its demise for all intents. But that certainly didn’t — and hasn’t stopped fans from enjoying a game just as quirky and outstanding as the first two entries in the series. Fan communities have gone out of their way to create merchandise such as unofficial strategy guides to help players make it through the Japanese release, while another has made an incredible translation of the Japanese ROM so that English-speakers can experience it on a variety of hardware. A half-decade later collector forums are still discussing the possibilities of English translated reproductions of actual Game Boy Advance cartridges. Further proof that this is one of the handheld’s most important releases. …and an incredibly dark screen. I was never a fan of the GBA personally, but that’s obviously not to say that it’s a bad console. Well the later GBA models had nicer screens. Also, I love playing on my Gameboy Player on my Gamecube. Very cool list. I quite like the GBA, but I’m not especially knowledgeable about it’s library. Stranno — had to cut the line somewhere. GBA have a extensive library, full of “japan only” titles, go to the racketboy’s GBA “hidden gems” article and check all the readers comments. AGS-101 and Micro have backlight, and today lot of mobile devices have GBA emulators. If you want classic GBA and GB, GBC get a Dingoo handheld. The games run perfect and look beautiful. I bought a GBA but I regretted that decision. I was put off by all the SNES ports. I always felt the GBA lacked originality and so I never dug deeper to find the non port games that were good. Great lineup selection and a great article! Agree, every GBA owner must have Gunstar Heroes as part of their collection. I ended up buying a second Gunstar cart for the Gamecube GB Player. THE GBA SP is truly one of the great portables that CAN fit in the front pants pocket. The later model of the GBA-SP with multiple levels of brightness for the backlit screen is a must. The fact that it is fully bacwards compatible with the original Gameboy games and Gameboy Color games is what makes it a must for any gamer. Even with a DS or 3DS, you really only need one other handheld: the GBA. 3 Generations of game libraries to choose from for one handheld console. I never knew that interesting tidbit about the Boktai games. I own the first one, but haven’t played it yet. I would have probably gotten a surprise when I learned I had to be outside during the day to play it. That’s very hard for a working adult to find free time outside during daylight. Darn. You don’t NEED to be outside to play Boktai. It helps if you get sunlight (you can get it through a window). Usually the stronger the sunlight is, the sections that are outdoor in-game are easier. The game has mechanisms that allow you to play easily without sunlight at all, as long as you have enough energy stored in batteries that are spread out through the game (there are also fruits that replenish your energy). You do need sunlight on the second stage of boss fights, but other than that you can make it through the rest of the game without it, and it won’t be particularly difficult if you get used to playing stealth style as the (first) game encourages you to. 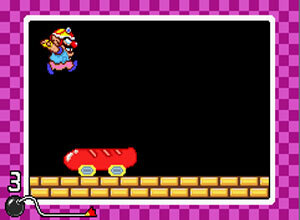 Can’t believe Wario Ware Twisted didn;t even get a mention. That’s easily one of the best and most unique games on the system. Agh! You know what, Twisted was missing simply as an oversight. We had the original Wario Ware but forgot the other GBA sequel. We’ll fix that soon! Wonderful list! It is also one of the few lists which I mostly own. Although it wasn’t a hit, I think DK King of Swing was a defining game for the gba. Since the GBA was nintendo’s first handheld with shoulder buttons (i think?) it is amazing that a game was created just to use those buttons. It felt amazing and I loved that game to death. I honestly had no idea the GBA had such a fantastic library of games. Gamers like me (who consider the SNES/Genesis era the most loved and classic years in gaming) really do have a wealth of options with the games available on this little gem of a system. Great list racket, I’ll be waiting for the next one! In so man ways, the Game Boy / Color / Advance makes the ultimate retro system. There are almost 20 years worth of games, ranging from simple black and white to complex 32-bit titles. 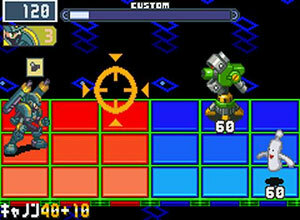 And many of the games allow saving features, making games especially “pick up” friendly. It’s so good to see the Game Boy getting more focus here. It’s definitely one of those systems people overlook or write off way too often. Awesome article! Just so you know, the pic used to represent the GBA Castlevanias is actually a pic from Dawn of Sorrow, which seems a little incongruous to the article’s sentiments. what would be one of the best game boy advance games to buy? Personally, I would say start with Advance Wars and Metroid Fusion. I’ve spent so many hours on those. I wonder if Tony Hawk 2 should be added to this? It was a huge killer app for me when the GBA first came out. Awesome article though! Would love to see one for the original Game Boy. It’s weird. Playing Metroid Fusion left me completely dissatisfied. Either it’s holding your hand too closely, or forcing you to locate a specific hidden passage through lame trial and error. It also feels like it’s the start of everything I don’t enjoy in the Metroid series. However, I’m just about the only one who seems to feel this way. If you want something that more closely resembles the original Metroid look and feel, go for the incredible Zero Mission remake first. The game is short once you know the routes and tricks, but perfect for speed runs and still a challenge the first time through. It also might be one of the best remakes of a classic game ever… which is easily seen once you unlock the original Metroid by beating Zero Mission (making the Classic NES version completely unnecessary on GBA). By the way, tremendous job with the article. GBA did feel a lot like a portable SNES due to all the games that were ported over, but that’s hardly something to complain about in my mind. Now the terrible screen (before backlit versions) on the other hand is worth complaining about… lol. I wish that Chu Chu Rocket – one of the best puzzle games on the system and a tremendous launch title – could be in this list, but it never saw the popularity it deserved. Great puzzles and a great party game, maybe it’ll make a return on DS or Wii sometime. 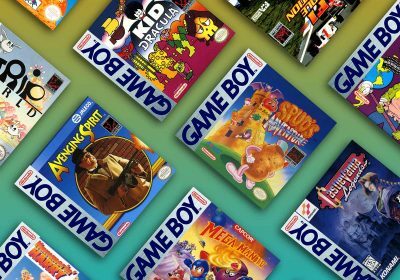 Thanks for your help 🙂 how much should a boxed game boy advance game cost? i am thinking of expanding my collection and need a good estimate 🙂 is $50 to much? I don’t keep too many tabs on boxed GBA games, but $50 seems like a bit much unless its a hard to find game. But maybe the demand could be there. $30 or $40 seems a bit more reasonable.